Ability to modify and update specific areas of the site themselves. 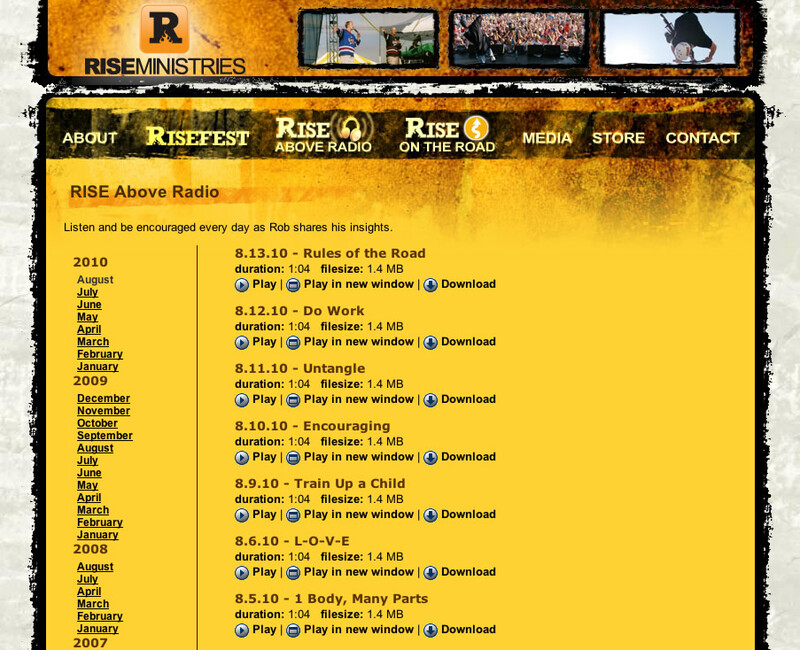 Consolidation of the RiseFest and Rise Ministries sites into one site. 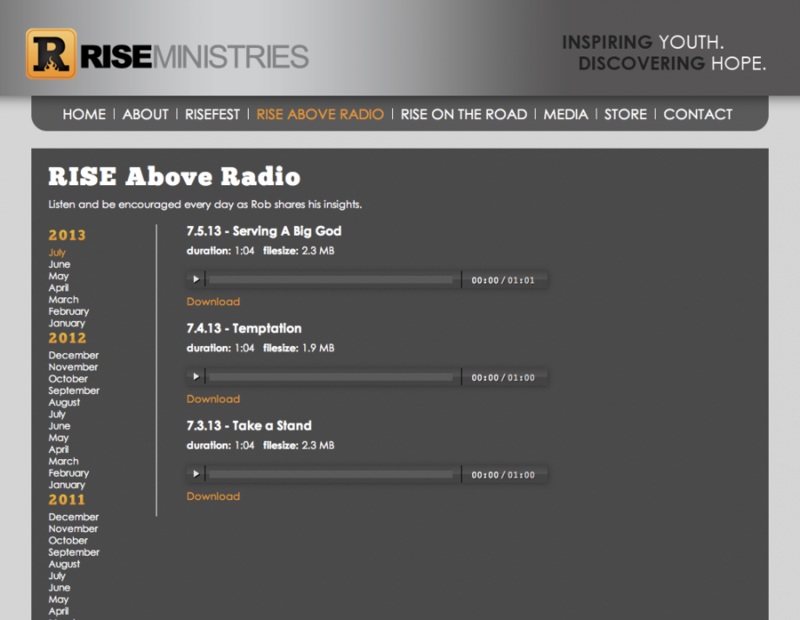 We worked with Rise Ministries to make sure that their new site was well engineered to help them meet these requirements and succeed in growing their ministry. 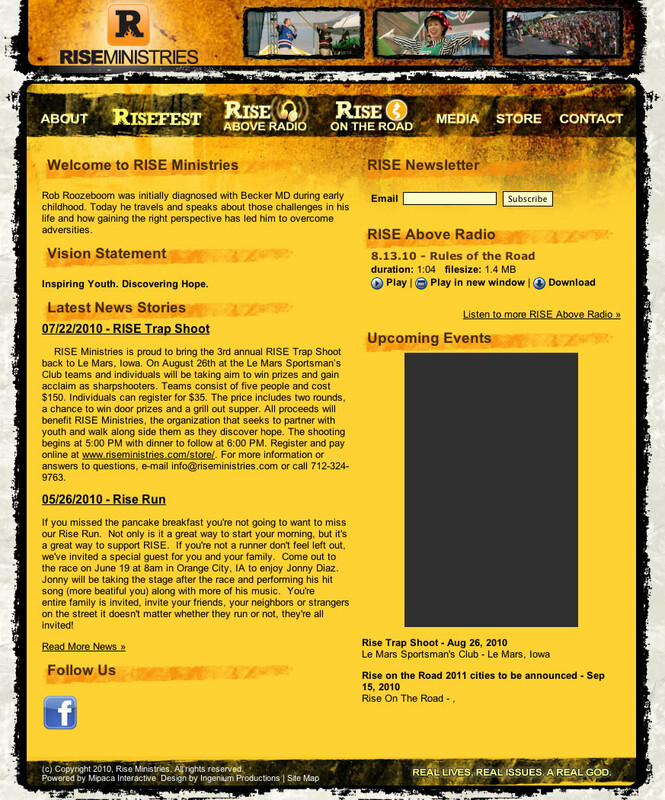 The Rise Ministries site was updated with a new design in March of 2013.